the structure and the facade has gone up. Still waiting to be painted white before March opening. We are honored to have been introduced by MApeople, a hospitality branding/marketing expert with fresh new ideas and passion based in Zurich, Switzerland. The feature was designed based on the famous water painting by Jungsun in Chosun Dynasty. The simple coding reinterpreted the image and rendered an abstract image made of perforated holes on a piece of plywood. The restaurant gains new modern angle with the feature wall and other new refurbs. Award ceremony on red carpet with founder Chang and director Kim. VOTE for us on Architizer A+ Award 2015 : knot house as finalist! Please go to the Award Website to click a vote on the Knot House (3rd image on right). Our office is now hiring a full time architect with architecture undergraduate degree or higher. Experiences in cultural / hospitality would be helpful. Fluency CAD, Rhino, and English is a minimum requirement. Rendering skill is an additional merit but not required. Please email CV and portfolio with possible start date on info@atelierchang.com. Thank you. Our office is in search of a talented and devoted young designer to be part of several built projects starting immediately. The available position is an internship. Please email your cv and portfolio to info@atelierchang.com. Thank you. Knot House are finally built! 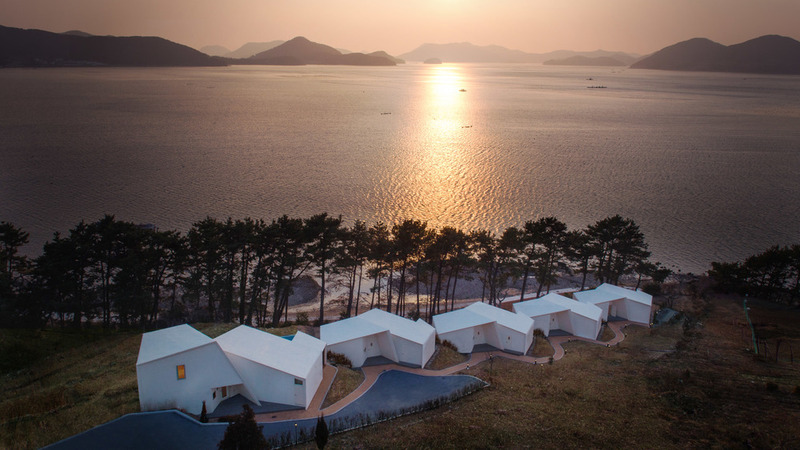 Five Knothouses in South Korea are finally built and open looking down at the ocean and 100s of islands across. It is our first built project in Korea. Thank you for those who worked tirelessly for the project! mr.kim, mr. lee, federica, ryan, and hyunwoo! Come and stay for a night! The Knot house construction is completed! And is now sitting beautifully on the hill of Goeje. It is fully booked for next months. Nougat Chandelier is on Tony Miles Design blog! Here is a room with a great view with the wharf coming all the way in. Looking forward to the exciting project for Hop studio. KCP is published on BD online! City Road glass roof is coming! With the new year upon us, the building of the new glass roof at City Road begins!